Gwadar is bustling. The parking area at the port town’s only five-star hotel, located on the Koh-e-Batil mountain that intrudes southwards deep into the sea, is often so packed with vehicles that drivers have to wait in queues just to get in. Diners and boarders have to book days in advance to reserve a table or get a room. Only a year ago, the same parking lot always afforded plenty of empty space, the hotel’s restaurants were semi-functional and its rooms mostly empty. Benazir Point, a ledge just outside the hotel, provided an overview of a vast emptiness stretching as far as the Koh-e-Mehdi mountain that, along with Koh-e-Batil, surrounds the Gwadar creek, where the town’s deep sea port is located. The hoary-red landscape dotted with low-slung white and grey buildings, and orange and yellow cranes looked like the abandoned set of a movie about an industrial dystopia. Everything appeared to be rusting idly in the salty sea air and the gusts of sand blown in from the desert in the town’s south. Back to the present, the visitors Gwadar receives – construction contractors, government officials, property buyers and dealers, and the occasional tourist – have become so numerous that every big and small hotel along the town’s harbour road has raised its room rent. A room that was available for around a thousand rupees a few months ago can now be attained for three times – and in some cases, even four times – as much. And it is not just the hotels. The buying and selling of property has registered a noticeable boom, as have real estate prices. In some cases, residential and commercial plots are selling at 10 to 12 times the cost they would fetch two years ago. Haji Ghani, president of the Gwadar Property Dealers Association, says a plot measuring 600 square yards in any of the two government-run housing societies – Sangar and New Town – was easily available for 400,000 rupees in 2014 but now the price of the same plot can be as high as two million rupees. Ghani attributes this phenomenal surge in land prices to the launch of the China-Pakistan Economic Corridor (CPEC) that involves, among other development projects, the construction of a road network to link Gwadar with the Chinese city of Kashgar. As a part of the CPEC, the federal government has recently approved the construction of an export processing zone in Gwadar — exclusively for the Chinese manufacturers. In November 2015, the government transferred 280 acres of land in the east of Gwadar Port to the management of the zone for kick-starting work on it. Another 320 acres of land allocated for the project will be made available soon in the same area, say government officials in Gwadar. The buying and selling of property has registered a noticeable boom, as have real estate prices. In some cases, residential and commercial plots are selling at 10 to 12 times the cost they would fetch two years ago. The start of work on the export processing zone, says Ghani, has raised interest among real estate investors who are expecting Gwadar to turn into a big port city in the near future. “Property dealers in the town are receiving queries from every corner of the country about the availability of residential and commercial plots,” he says. 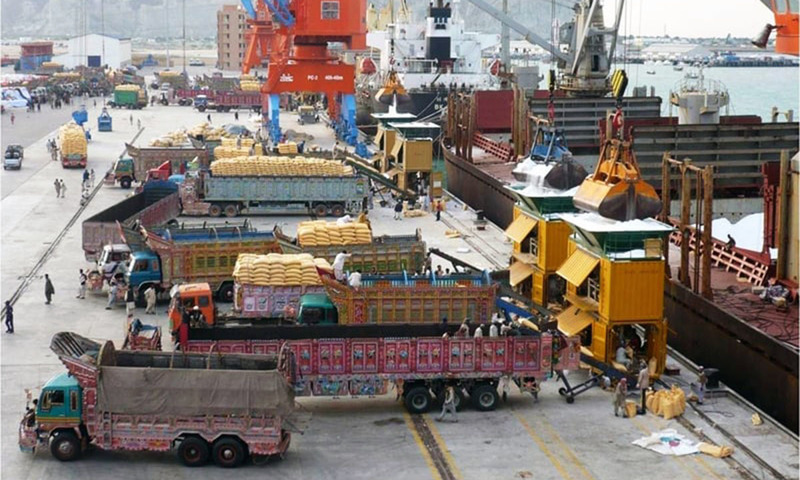 The improved perception about security and safety in the area and the government’s initiatives to secure Gwadar and other CPEC projects through special arrangements are another factor behind the boom in the town. The provincial government of Balochistan has launched the Gwadar Safe City project, with financial help from the federal authorities. The main objective of the project is to provide security to the Chinese companies intending to invest in the city’s export processing zones and to safeguard the technical, technological and other infrastructure that they will require, officials say. About 800 retired army and police personnel have already been hired for the project, they add. 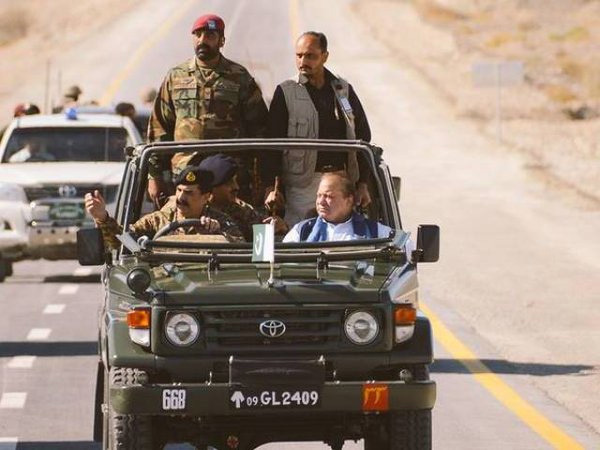 The federal government, in the meanwhile, is planning to set up a special military force – comprising 13,000 soldiers and officers – to protect the road network and development projects being built and planned under the CPEC. Pakistan’s premier military training academy in Kakul is being expanded to train the recruits for this force. The military authorities have requested the federal finance department to allocate funds for the start of the recruitment and training process, newspaper reports from Islamabad say. The only people not in the loop about all this are the citizens of Gwadar: shopkeepers, white-collar workers in government departments, fishermen, peasants and shepherds. Many of them are not even aware of the development and security schemes already initiated in their town. Others wonder about the political and demographic impacts of the projects being devised and implemented. 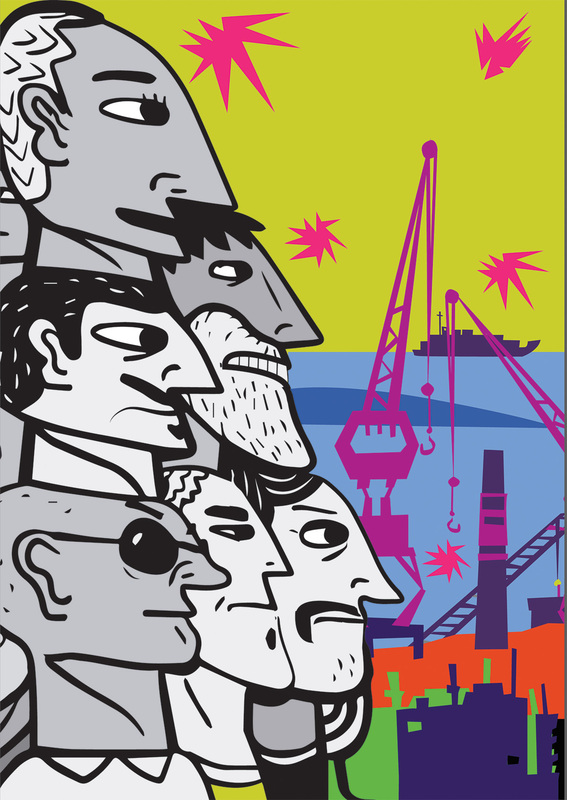 Who will get work in the Chinese factories being set up in the export processing zone? Who will be recruited in the provincial and federal security apparatus being created to secure development schemes? Who is buying land in Gwadar? Many local residents are raising these questions quite regularly. There is also widespread fear that the local inhabitants could be thrown out of their ancestral lands to accommodate factories and roads as well as people who will come from the outside to run those factories and use those roads. Many of these issues were debated vehemently at an event organised in the second week of January 2016 by the Rural Community Development Council (RCDC), a Gwadar-based non-governmental organisation. Originally meant to be the latest edition of an annual book fair, this year the event changed into a forum where multiple panel discussions took up subjects such as the CPEC’s impact on Balochistan in general and Gwadar in particular. While participants generally did not oppose industrial or communications projects, they nevertheless emphasised the need for an inclusive development that did not marginalise the local Baloch populace. Away from the hustle and bustle of Gwadar, those living in the coastal backwaters of Pasni are struggling with other questions — poverty and security being chief among them. Younus, a local boat maker with meagre means and no access to law enforcement authorities, waited here three years for the return of his youngest son, Yousuf, after he was picked up by the Frontier Constabulary (FC) on the night of February 1, 2013. “The FC men in uniform along with local police came to my house and took away Yousuf. When I approached a police station, the officials there advised me to keep quiet; they said they could do nothing in the case,” says a visibly anguished Younus. He is so scared of getting noticed by the security forces that he refuses to meet the Herald for an interview at his own residence or any other public place. The interview takes place in a moving car. Yousuf was only 16 when he was taken away, says his father. “He was assisting me with boat-making near a jetty before he decided to take the job of a salesman at a shop that sells motorcycles in Pasni bazaar,” Younus adds. Three years later, on January 26, 2016, he got his son back — dead. “A police official came to see me at home very late that night and told me to receive the dead body of my son from Civil Hospital in Pasni,” Younus says. Next morning, he collected Yousuf’s body from the hospital, arranged his funeral prayer and buried him silently. Younus does not complain. He does not hold anyone responsible for his son’s death. Distressed but resigned, he is not contemplating any legal action. “It was the will of the Almighty. I won’t blame anyone, any institution. I did not even ask the police how my son was killed,” he says quietly. “We are poor people,” he says, as if to suggest: ‘I do not have the resources to pursue the case’. There is widespread fear that the local inhabitants could be thrown out of their ancestral lands to accommodate factories and roads as well as people who will come from the outside to run those factories and use those roads. No newspaper, national or provincial, or television channel carried the story of his son’s killing. Only BBC Urdu published a small news report datelined Quetta and based on an FC press statement. It said two terrorists (Hanif Anwer and Yousuf Arman) were killed in an exchange of fire with the law enforcers during a security operation in Pasni, 115 kilometres to the east of Gwadar. In other cases, similar press statements have made front page headlines in the provincial and national press. Reports published in Balochistan-based Urdu newspapers, between the start of November 2015 and the end of February 2016, highlight the striking similarities between these statements. ‘Personnel of the FC and intelligence agencies conducted a search operation in area X after receiving information about the presence of X number of militants who started firing on the approaching security and intelligence officials. The ensuing battle that continued for X hours resulted in the death of X number of militants who belonged to a banned organisation named X.’ The only things that change are the names and the numbers. These news reports also suggest that there has been a phenomenal increase in such encounter killings. The FC is reported to have killed 87 suspected Baloch militants in 31 operations between November 2015 and February 2016. The security forces, including the police and the FC, have also reportedly killed 14 alleged members of the banned religious organisations in Quetta and Zhob in the same period of time. On the obverse side of these statistics, since early November last year, alleged religious militants have killed more security personnel – 37 – than the suspected Baloch militants, who have assassinated 13 FC and levies personnel. Sarfraz Bugti, Balochistan’s home minister, addressed a press conference in Quetta on January 30, 2016. He disclosed that the security force had killed Dr Manan Baloch, secretary general of a separatist political organisation, the Balochistan National Movement (BNM), in an encounter earlier that day. Manan and four others killed along with him had alleged that the minister was involved in subversive activities, including attacks on law enforcement agencies. Bugti did not identify any of the dead, other than Manan, but said the five were hiding in the same house in Killi Datu village in Mastung. Salim Kurd, a veteran Baloch nationalist, claims knowing the identity of the four. They were two sets of brothers: Ashraf, Hanif, Sajid and Mehrab. The latter two were nephews of Manan and Ashraf Baloch, who was a senior commander of the Baloch Liberation Army (BLA), headed by Harbyar Marri, who is living in exile in London, says Kurd. Since early November last year, alleged religious militants have killed more security personnel – 37 – than the suspected Baloch militants, who have assassinated 13 FC and levies personnel. He also quotes some BNM officials to claim that Manan went missing a week before his killing and was not in contact with his family and friends. “Manan never worked underground; he always openly practiced his politics,” says Kurd. A senior journalist in Quetta is puzzled by the incident for another reason. “Manan’s BNM is the political face of Dr Allah Nazar’s Baloch Liberation Front (BLF), which has an intense rivalry with the BLA. It is hard to believe that Manan was in the same house where a BLA commander, Ashraf Baloch, and his brother were also present,” he says. The mist and the fog surrounding the killing are neither peculiar nor exclusive to it. Farid Baloch, coordinator of the independent Human Right Commission of Pakistan (HRCP) in Quetta, points out that there is mystery and confusion about many similar incidents that have taken place over the last five months or so. “In many cases, those killed in such operations had been reported missing by their relatives for a period ranging from one month to several years,” he says. Bashir Baidar is a well-known Baloch poet. He hails from Konsh Kalat, a village in Tump in Balochistan’s southern district of Kech. Two years ago, he moved to Karachi after receiving death threats from Baloch militants. He never knew his move would expose his family back in the village to danger. Sitting in his rented apartment in Karachi’s Baloch-dominated Lyari area, he narrates – almost without emotion – how he lost his two young sons to the conflict in Balochistan since the summer of 2014. Baidar’s son, Qambar, received bullet wounds during aerial firing at a wedding in their village on June 13, 2014, and was taken to a hospital in Turbat, where the doctors declared that his injuries were not fatal. However, they advised his family to move him to Karachi for further treatment. The family rented a vehicle, put Qambar into it along with some male and female attendants, and sent them off to Karachi. When the vehicle reached Nalient near Gwadar, about 113 kilometres to the south of Turbat, the FC personnel at the checkpoint there stopped it and took Qambar and all the men accompanying him inside. After six hours of questioning, they allowed Qambar to go to Karachi with a driver and his female companions, keeping all the men in detention. Before the vehicle reached Ormara, about 350 kilometres to the west of Karachi, the driver called Baidar to inform him that Qambar had died. “I asked some of my relatives in Ormara to bury Qambar there,” recalls Baidar, pressing his temples with his fingers. About 18 months later, his other son, Fazil, called him from their village, asking for 1,000 rupees and two shalwar kameez suits. “I promised to send the money and the clothes the next day. Hardly an hour later my daughter called me, hysterically repeating: ‘Zalimon ne meray bhai ko maar dala hai’ (The brutes have killed my brother),” says Baidar. “I disconnected the call and contacted a neighbour who confirmed that four masked men had tried to kidnap Fazil from a tea stall near our house. They shot him dead when he resisted,” Baidar adds. Gohram Baloch, the spokesperson for BLF, a banned militant organisation, later claimed responsibility for the murder in a statement published by a web portal. “There are many recent cases in my knowledge where people have left Pakistan and are now living in Oman or Iran after becoming disillusioned with the leadership of the militant groups,” he says. The militant leaders, nevertheless, continue to label them as missing persons, he adds. This was not the first time that the militants had attacked Fazil. They kidnapped him in 2013, too, but then released him after keeping him in captivity for 15 days. “His captors told him that the reason for his kidnapping was that I work for the National Party (NP), which the separatists believe is harming their cause by contesting elections and pursuing political means for securing the rights of the Baloch,” Baidar tells the Herald. He also claims to have never been a member of the party that has been a part of the ruling coalition in Balochistan since the summer of 2013. He also denies having ever contested elections. Baidar, however, is known for having political views which are quite opposite to the ideology of the militants. He writes regular columns for both Urdu- and Balochi-language newspapers, and has been critical of the violence perpetrated by the separatist militants, including the murder of his close friend and former mayor of Turbat, Moula Bakhsh Dashti. The militants have issued multiple threats in the past of eliminating Baidar. There are scores of families in Kech alone that have lost their young members to violence just like Baidar has. Many of them – unlike his son Fazil – went missing or were taken away by the security agencies, before turning up dead. Mohammad Tahir, who has been the NP’s district Kech president for five years, knows about many such cases though he hastens to add that that the situation is gradually changing. “The party has sought the names of the missing persons from the aggrieved families and the party leaders have taken up the issue with the security establishment. Many people have been released as a result,” he claims. Some of the missing persons have actually gone abroad, he says. “There are many recent cases in my knowledge where people have left Pakistan and are now living in Oman or Iran after becoming disillusioned with the leadership of the militant groups,” he says. The militant leaders, nevertheless, continue to label them as missing persons, he adds. It is obvious that the nationalist militant groups have lost a lot of ground as far as public support for them is concerned. Their brutal tactics of dealing with the alleged spies of the security forces – abduction, torture and summary executions – have resulted in a steep decline in popular support for their slogans and methodology. The security forces run the same risk if they do not alter their course of action quickly. Instead of meeting the justified demands of the Baloch politicians – such as control over land and natural resources, provincial autonomy, political empowerment – the security establishment is tightening its grip further in the province, citing security reasons. In Gwadar, for instance, it is public knowledge that a brigadier of the Pakistan Army is the actual head of the local administration. He even chairs meetings convened to consider solutions for water shortage in the town, says a mid-ranking officer of the civil administration in Gwadar. When some nationalist parties called for a day-long strike to protest the killing of the BNM’s Manan, the civilian administration decided to allow the strike, as long as the protesters promised to remain peaceful. But then the brigadier called a meeting of the local traders and advised them not to close their businesses during the strike or their shops would be locked indefinitely, claims the civilian officer. If and when that happens, he warns, it will help the militants stage a comeback and claim that development projects are meant to take control of Balochistan’s resources. Islamabad must avoid isolating the Baloch people from the development process if it really wants to resolve the conflict in Balochistan, Hameed remarks. This was originally published in the Herald's April 2016 issue. To read more subscribe to the Herald in print. I am not sure what point the author is trying to make. GOP has failed to develop Pakistan in general and Balochistan in particular. Now the Chinese are offering development, but the media prefers to discuss how the Baloch people benefit. Suffice it to say that with previous local governments, they were getting a small amount of nothing; with the Chinese, they will be getting a small amount of something. And something is better than nothing. The corridor is a great opportunity for all to benefit. It must be ensured that the locals benefit in substantial measure so that they are not hostile to this huge development taking place. The locals need to be co opted rather than crushed. No matter what, this dream will turn into reality sooner or later. Looks like the looters have moved in already. Baloch should start sending their kids to schools so that they become employable. If locals do not change their ways (in education), then how can they expect to be part of the growth? What rights/shares is the author talking of when he says Baloch leaders should get their fair share and how can that share be had? BLA wanted their share through terrorism, killing their own brothers and sisters, is this the way? Gwadar is not a Chinese city, but locals can't be part of the administration and development of it unless they get the right skills. Army is opening schools all over Balochistan, locals should start sending their kids to those schools instead of madrasas. Otherwise educated class from other provinces will start filling in the gap. It's obvious that the process of development does not follow the Drawing Board Plans. As it proceeds, realities and economic forces, rightly, compel adjustments. And this need not cause alarm. Politics and economics need not be at logger's head. Senior political leadership must understand this dynamism and avoid raising non-issues. I agree with the point that army should stay out of the political administration and decisions and avoid unnecessary use of force. @Arslan Good points made and I agree. There is no point asking for something for nothing. The People of our country must make an effort to benefit from these opportunities. Unless the government truly develops for the people of the region stability cannot be achieved. Just giving a sea port to China for economic means does not benefit locals. @Arslan What schools? You might as well say send them to universities. A authoritarian development, not involving locals will lead to further dissident in Balochistan. I believe that's what the author is trying to point to. We have seen this in China and other parts of the world. Development that is not inclusive will always fail. Why is our nation behind South Korea, when 60 years ago we were level? Because we are happy to step on each other for riches, to prove my point only 0.5% pay taxes and favoured groups get government resources such as free or cheap land. I have been in this area from quite long time about 25 years. The Baloch are very kind and soft people. There is need to make them understand that their area will progress only and they will benefit. If somebody will earn from these factories he will also spent money in Gwadar and Balochistan. But they have to give way and by this way they can enjoy the economic benefit. Quite agree with Hasan. With previous local governments, the Baloch were getting a small amount of nothing; with the Chinese, now they will get a Big amount of nothing. And Big is always better than Small. Nothing appears organic about the port city and the state development. Is the author aware that the government has announced its intention to set up a vocational training institute at the cost of 943 million rupees in order to train locals to work at the Port? This information is freely available and is even on Wikipedia. So yes, I do think the locals will indeed benefit from this at least to some degree, but it is obvious that some positions will require skills not found amongst the local populace. Have most of the people commenting here even read the piece? The argument is quite simple really. Don't treat the Baloch as sub-humans. That's it. Not being kidnapped or killed or picked up without any due process are just basic human rights. Being allowed to run the administration of your city is also one, in a democracy at least. Its a great piece of journalism and the writer needs to be commended for his work. Great work.